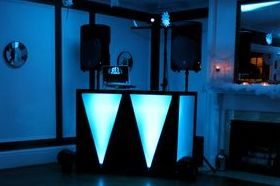 PLEASE VIEW OUR DJ PACKAGES BELOW! The packages below are just an example of what we offer. Please email us today for specific packages and pricing for your event. Different things are included for different types of events-- a small karaoke party includes different equipment than a Super Sweet 16 for 100 or an Elegant Wedding of 300! Music from 1940 to "Today's Hit Music"
IF YOU ARE INTERESTED IN BOOKING A PHOTO BOOTH WITH YOUR DJ PACKAGE, PLEASE VISIT OUR PHOTO BOOTH PAGE FOR MORE INFO! Thank You for Choosing Jimmy Lyles Productions! Jimmy Lyles and his team are sure to be a hit at your special event! DJ Jimmy Lyles, aka DJ J SIZZLE, has been playing music forever. A good DJ doesn’t just know how to play the music, the ability to read a crowd and MC is what sets apart a hobbyist and a professional. This is where Jimmy's showmanship is unmatched. Jimmy takes pride in each and every performance and he will be sure to make your event the talk of the town. Besides being a Radio and Live Event DJ, Jimmy is also lends his voice to attractions around the country. You can hear his voice nightly during the fall months at the #1 Haunted Attraction in America, Headless Horseman Hayrides and Haunted Houses as a part of Illusionist Ryan Dutcher's show. Also, during the winter months, Jimmy can be heard during the opening ceremony and tree lighting of A Frosty Fest in Ulster Park, NY. Just visit our testimonials page and read some reviews from former clients! Don't take our word for it, take theirs! Jimmy is the Audio/Visual Technician for VP Dance Academy in Fishkill, NY-- including audio editing, video editing, photography, videography, live sound, performance lighting, and more. He is also the Executive Director and Tour Manager of a "Coast 2 Coast: Dance Across America," a 501(c)3 Not-for-Profit Organization registered in the state of New York. Since it's start, Coast 2 Coast Dance has successfully brought their Master Dance Class to all 50 States, taught at over 125 dance studios nationwide, awarded over $10,000 in dance scholarships, and b with 15,000 dancers! Visit: roughwww.Coast2CoastDance.org for more information and to learn about their dance scholarship program! 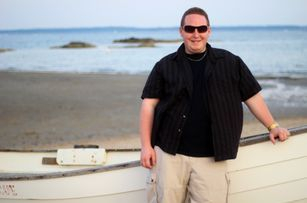 In his schooling career, Jimmy is a graduate of Dutchess Community College in Poughkeepsie, NY with an Associates Degree in Communications, focused in TV, Radio, and Film. He also has a Bachelors of Arts in Communications and Media Arts from Marist College in Poughkeepsie. You may also recognize Jimmy's voice from his on-air work on "Westchester and the Hudson Valley's Music Station," 100.7 WHUD, blasting "The Biggest Hits of All Time" on 92.9 WBPM in Kingston, NY, and on "Today's Hit Music: K104!" Pamal Broadcasting houses stations K104 (WSPK- Poughkeepsie), 100.7 WHUD (Peekskill), 92.9 WBPM (Saugerties/Kingston), and the all new Hudson Valley's Real Country 920AM, 1260AM, 1420AM, and 92.5FM (WGHQ Kingston, WBNR Beacon, & WLNA Peekskill). For Real Country, Jimmy engineers and produces shows live from the United States Military Academy at West Point, he engineers Army Sports on the air, and you can hear him doing the Weekend Weather! If you've ever won concert tickets, Jimmy makes summer appearances at Bethel Woods Center for the Arts at all of their country concerts. Jimmy also makes appearances in the Kingston, NY area for 92.9 WBPM, The Biggest Hits of All Time! Finally, he has also previously interned for The Walt Disney Company on ABC's daytime show "The Chew," which can be seen daily on ABC 7 at 1:00PM Eastern; starring Clinton Kelly, Carla Hall, Mario Batali, Michael Symon, and Daphne Oz. Since adding our Photo Booth, we now have the honor of bringing some of our very best friends to events with us to man the booth! You and your guests will have an extraordinary time taking photo's in out Photo Booth because of the level of professionalism and fun our attendants bring to each and every event! Take a look at some fun photos from events to the left and meet our amazing staff! Mike and Faith have been friends with Jimmy before we even had a Photo Booth! They had a big part in the decision factor of what to purchase and when to purchase it, so naturally they were a perfect addition to the team. Mike is our heavy lifter and often times meets us at 3AM in the morning after events to help unload and pack the vehicles. Faith is a wonderful assistant at events and helps guests in and out of the Photo Booth, all while making sure our prop table stays pretty! Deanna recently joined our team and we are proud to welcome her! 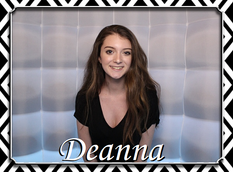 Jimmy DJed her Sweet Sixteen when he first started out and now she joins us as a Photo Booth attendant. Deanna and Faith often work together to ensure that not only the Photo Booth is running smoothly, but they also keep the prop table tidy and help guests choose the perfect prop to make their experience unforgettable! ​Ryan Dutcher truly represents the future of illusion and magical entertainment, incorporating fast paced magic, with classic hits from yesterday and popular music from today. Ryan performs shows that incorporate mind bending magic, cutting edge comedy and amazing audience participation. Touring the country, playing large theaters and stadiums and college campuses, with venues both large and small, Ryan has left audiences in awe. His performances have been called, “inspirational”, by Fordham University and “amazing”, by MTV. Ryan has drawn record numbers at Fordham University with his professional demeanor and exhilarating performances. Jimmy would also like to take the time to thank some of his staff! Jimmy wants to thank both Frank and Rob for all of their help and support. These guys really pull their weight! A big shout out to Faith and Dana for their help, too! Can't forget the girls! If you'd like to be a part of the time, feel free to apply! Email Jimmy directly at jimmy@jimmylyles.com and see if we have any work available!